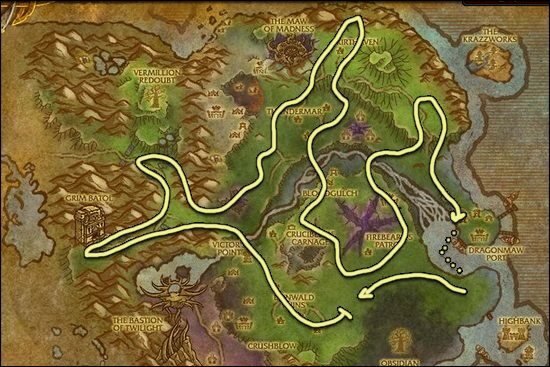 I made this Twilight Jasmine farming guide to help out players who want to farm the herbs instead of buying them from the Auction House. Twilight Jasmine is located in the green areas, away from the mountains. Twilight Jasmine can only be found in Twilight Highlands. 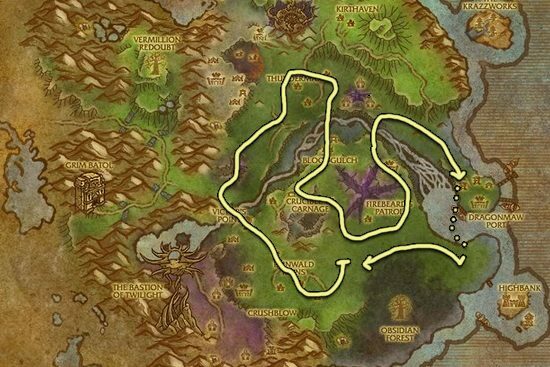 This herb is one of the rarest Cataclysm herbs, so if you are having trouble farming this, try the alternative extended route below. I recommend this route if someone else is already farming in the zone.